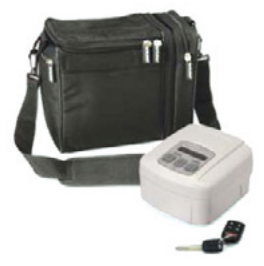 IntelliPAP Standard Plus CPAP Machine BUY DeVilbiss Standard Plus IntelliPAP, DeVilbiss IntelliPAP, IntelliPAP CPAP, DV53D, DV53D-S, DV53DHH, DV53DHH-S, IntelliPAP Machine. IntelliPAP Standard Plus Model - SHIPS FREE! 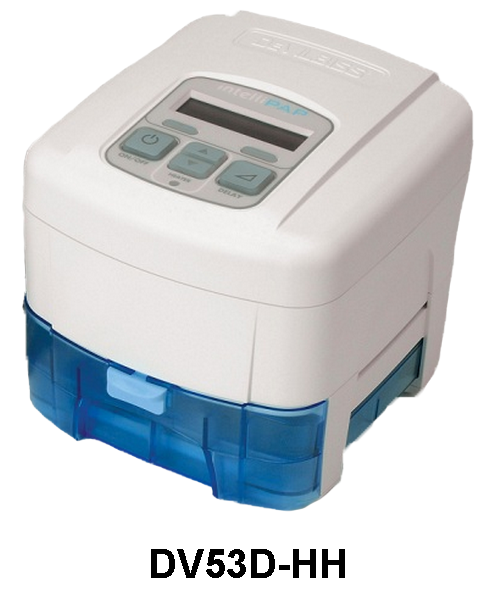 IntelliPAP Standard Plus with Heated Humidification - SHIPS FREE! 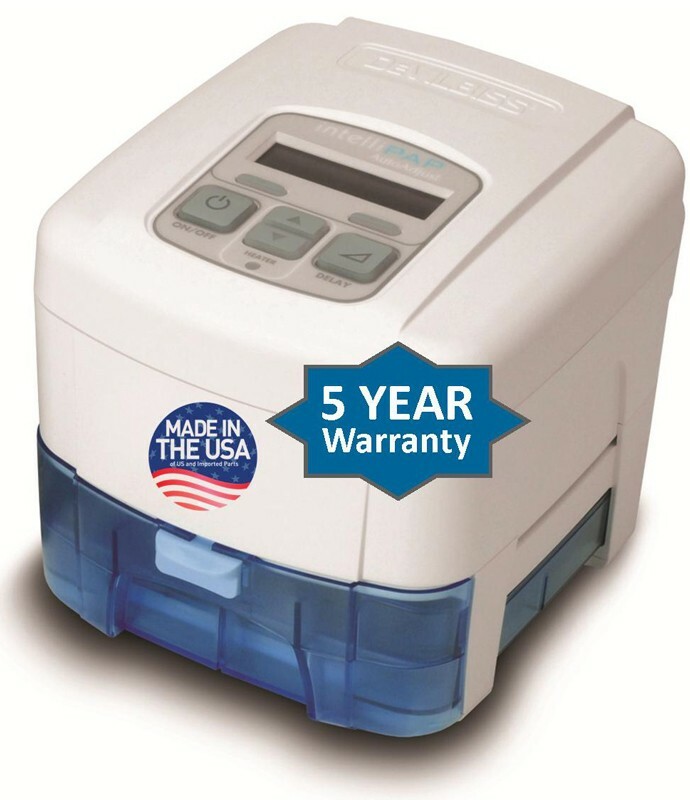 IntelliPAP Standard Plus CPAP Machines feature SmartFlex which is an expiratory relief development that provides greater breathing comfort for CPAP patients. 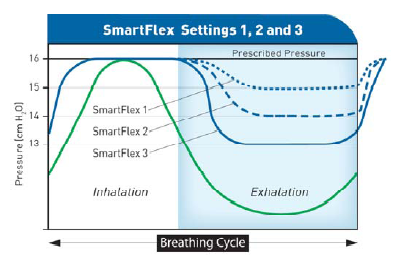 SmartFlex provides flow rounding, which changes the slope of the pressure waveform during the transition from prescription pressure to the SmartFlex setting and back again. Flow rounding enables a smooth transition and decreases the likelihood of waking the CPAP user. There are six levels of flow rounding with level 0 having the steepest slope and quickest transition and level five having the gentlest slope and slowest transition. 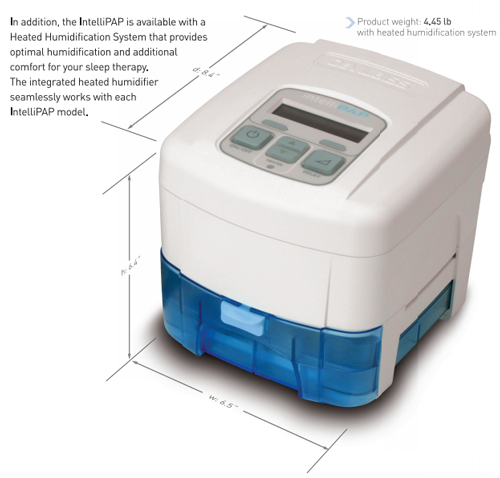 This important function is much more adaptable to individual needs than standard CPAP devices. IntelliPAP Standard Plus CPAP Machines are a fixed pressure device designed to help people with Sleep Apnea. Manufactured by DeVilbiss, IntelliPAP Standard Plus CPAP Machines provide Continuous Positive Airway Pressure (CPAP) for Obstructive Sleep Apnea (OSA). By blowing pressurized air down the nose and throat, the IntelliPAP Standard Plus CPAP Machine acts as a splint to keep the airways to the lungs open. The IntelliPAP Standard Plus CPAP Machine connects to a mask with air tubing. The CPAP mask provides pressurized air to the nose and mouth, depending upon the type of CPAP mask being used. 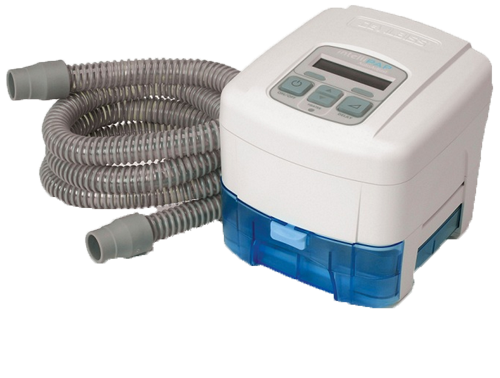 The Standard Plus Machine offers a range of pressures from 3 cm H2O to 20 cm H2O to meet the needs of individual patients. 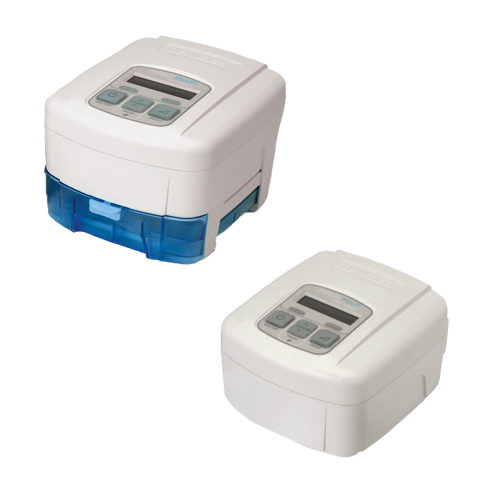 DeVilbiss IntelliPAP Standard Plus CPAP Machines are built with water-resistant housings and reliable electronics to provide years of durable service. The heated humidifier models have a durable Lexan humidifier chamber and a stainless steel heat transfer plate. 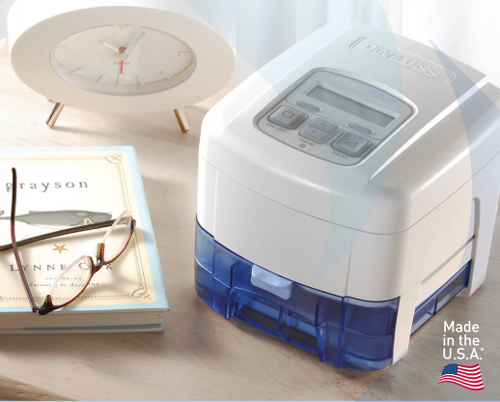 Instead of adding the humidification unit to the side, the IntelliPAP Standard Plus CPAP Machine uses a stacked design that provides a small footprint on your bedside table. Also equipped with SmartCode, the Standard Plus CPAP offers remote collection of CPAP usage data. IntelliPAP Standard Plus CPAP Model - DV53D. IntelliPAP Standard Plus CPAP with SmartLink Module & Data Card - DV53DS. IntelliPAP Standard Plus CPAP with Heater Humidification - DV53DHH. IntelliPAP Standard Plus CPAP with Heater Humidification, SmartLink Module & Data Card - DV53DHHS. Units with humidification provide optimal comfort. Optimal humidification and SmartFlex Technology. 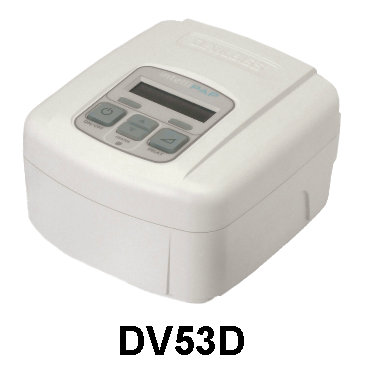 IntelliPAP Standard Plus CPAP Machines Product Numbers: DV53D, DV53D-HH, DV53D-HH-S, DV53D-S.
IntelliPAP Standard Plus CPAP Flyer provides information about design, performance, humidifier chamber and SmartCode. DeVilbiss IntelliPAP Standard Plus DV53 Instruction Guide is provided in English, Spanish, and French. 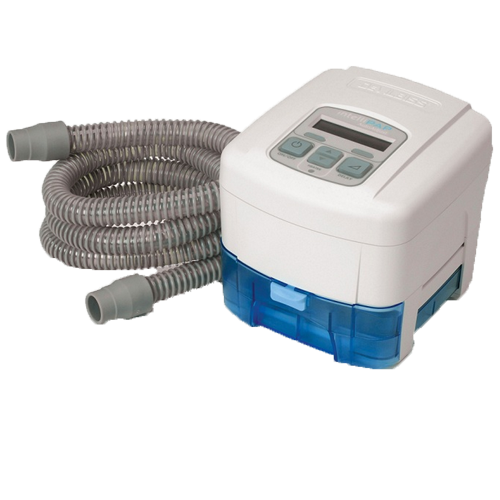 IntelliPAP Standard Plus CPAP Humidifier Use and Care Instructions reviews operating and cleaning instructions. IntelliPAP Standard Plus DV53 Accessories and Replacement Parts lists parts and part numbers for the DV53 Series Machines. IntelliPAP Standard Plus Warranty provides details of DeVilbiss' warranty information. IntelliPAP Standard Plus CPAP Warranty FAQ answers the most often asked questions about the DeVilbiss warranties.